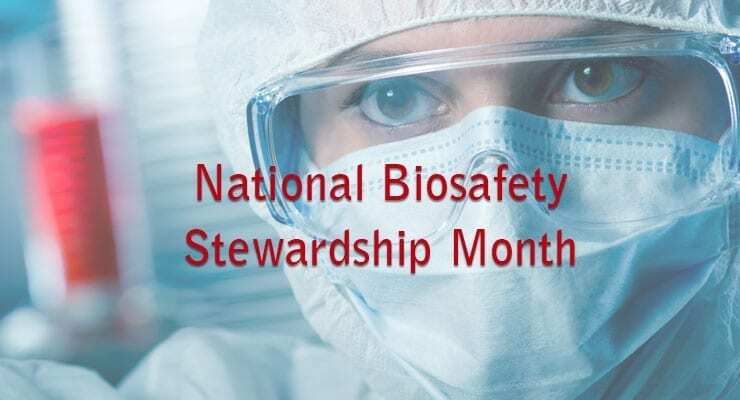 Did you know October is National Biosafety Stewardship Month? Sponsored by the National Institutes of Health (NIH), the designation aims to encourage institutions to reinforce their attention to biosafety policies, practices and procedures. Access biosafety guidelines from NIH for research involving recombinant or synthetic nucleic acid molecules here.